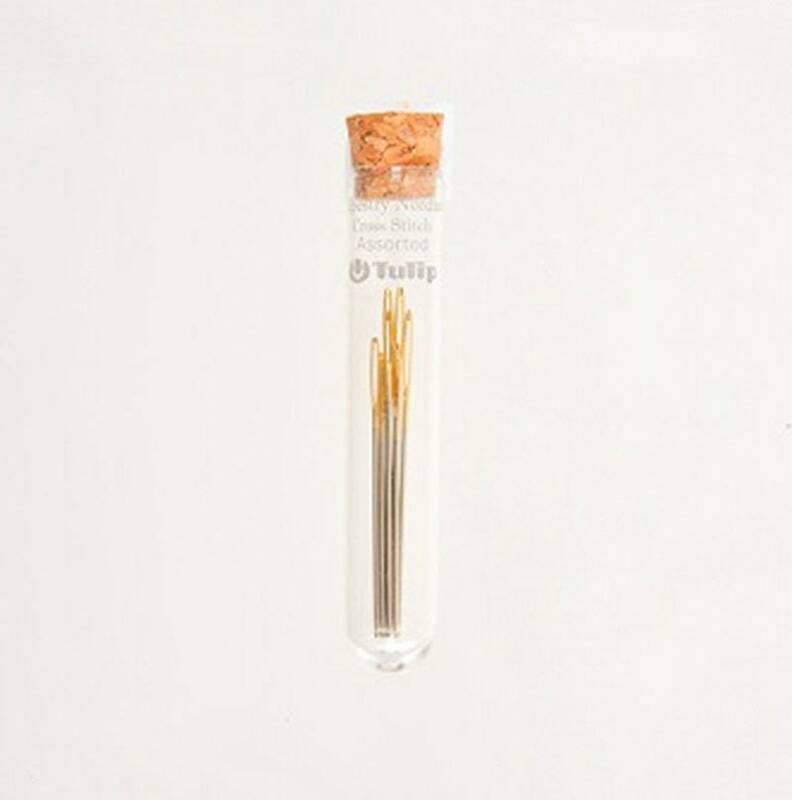 Tulip's superior quality tapestry needles, also known as cross stitch needles are tapered from the large eye to blunt or rounded tip. The rounded tip is designed to go between the warp and weft thread of loosely woven fabrics. Ideal for counted, canvas, and cross stitch work; all avoiding piercing the fabric's threads. Perfect for weaving in yarn ends in crochet & knitting, for cross stitch, for drawn thread work and hardanger embroidery, joining afgan squares and stitching knitted/crocheted seams closed. The needles are tempered by closely monitored heating & quenching to produce strong needles with just the right amount of flexibility. The large eye of the needle is designed to accommodate thicker thread or yarn. The gold-plated eye is easy threading and polished thoroughly to prevent snagging. The needles are nickel-plated making them glide effortlessly through the fabric. You will receive 6 needles in a four size assortment pack. 2 each of sizes #22 & 23 and 1 of each of sizes 24 & 25 needles within a labeled, clear, cork topped tube.